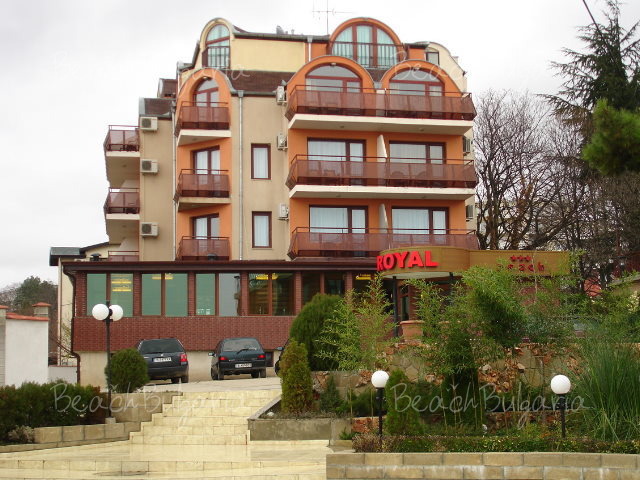 Royal Beach hotel is located 100 m from the beach in Golden Sands resort. 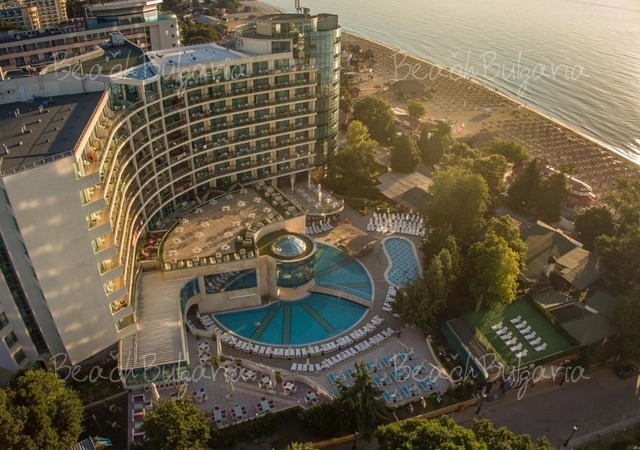 Varna airport is situated 10 km away from the hotel. 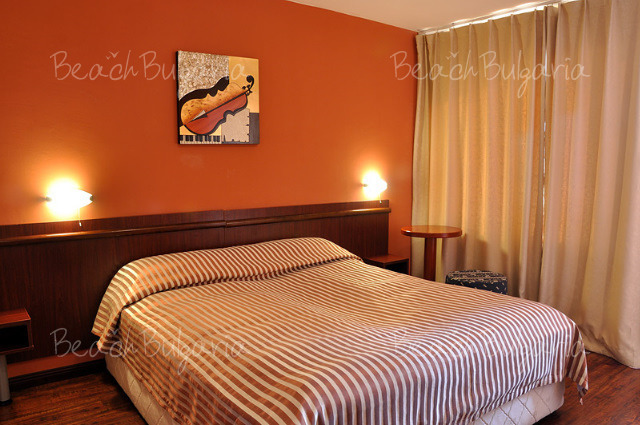 The Royal beach offers accommodation in 28 double rooms and 7 suites for 3 or 4 persons. The guestrooms are beautifully decorated and offer cable TV, telephone, air-conditioning, mini bar, terrace with panoramic sea view. The restaurant with 80 seats serves international cuisine and selected drinks. Guests can enjoy a refreshing drink in the lobby bar or on a beautiful terrace. 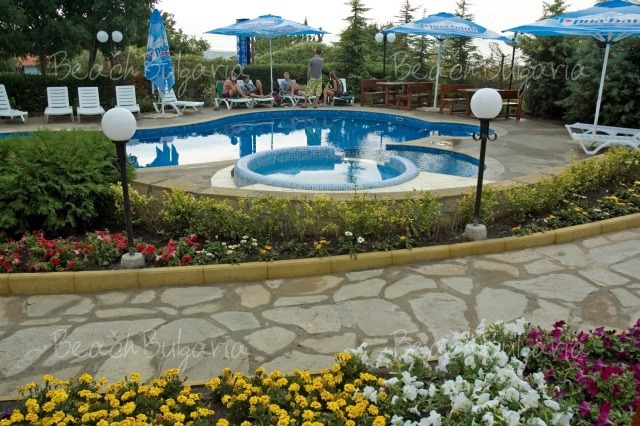 The hotel offers a spa centre and an open air swimming pool. The hotel features 2 modern conference halls with capacity up to 120 persons. 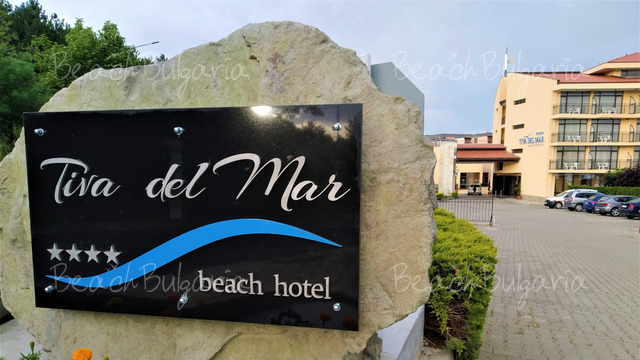 * The prices are in Euro, per room/per night with breakfast included, free use of wi-fi internet, swimming pool, sunbed and sunshade, park place. * Cancellations can be made free of charge providing details of this are received at least 7 days prior to check-in time on the day of arrival and 10 days during 01 July - 31 August - cancellations made after this period will incur a fee equivalent to the 100% of the accommodation. Nie polecam! Hotel nieposiada wlasnego dojscia do morza . Zeby dojsc do morza trzeba przechodzic przez inny obcy hotel w dodaku przez jakies krzaki .Plaza nie strzezona , kamieni pelno .Nawet nie ma jak plywac. Do centrum ladnej plazy 20 minut drogi. Pokoje ok , czyste Lecz lazienka caly czas zalana jesli bierze sie prysznic roznosi sie t po calym pokoju. Jedzenie w miare lecz w ostatnim dniu dostalismy splesnialy chleb. Jesli przykladowo obiad jest o 18 to radze przyjsc przed 18 bo potem nie ma nic no chyba ze czowiek bedzie chodzil caly czas za kelnerem i sie upominal zeby dolozyl. obsluga- fatalna!!!! 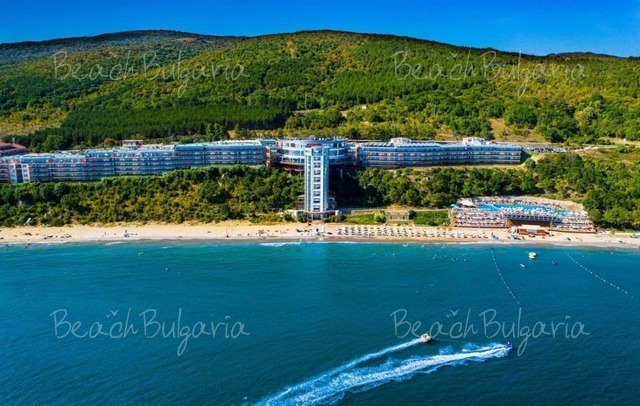 Please, post a comment on Royal Beach Hotel.